Whiter teeth….. I mean, everyone wants that right? I know I did. My smile is far from perfect and I’m okay with that but I wasn’t ok with my coffee stained teeth. The yellowing and dulling of teeth is an issue that many people face and are unhappy with, but never seem to actually take the right steps to correct it. That is why I was so excited when I got the chance to partner with Smile Brilliant. 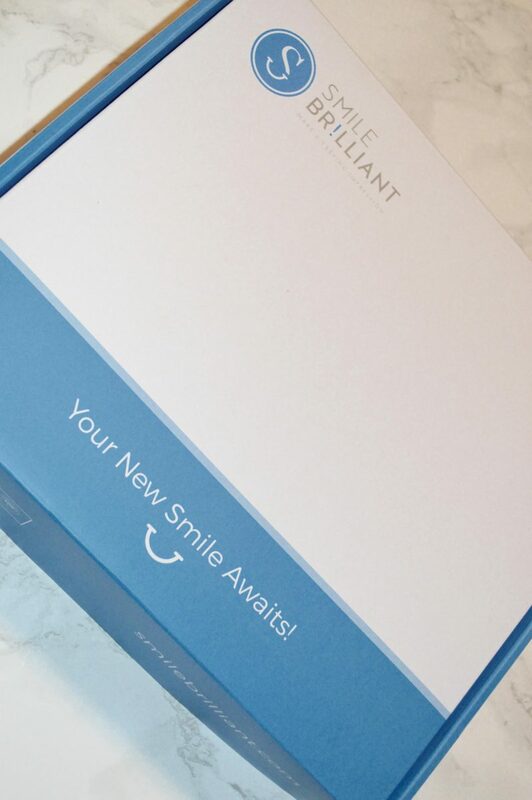 Smile Brilliant is an at home teeth whitening kit. Once you place your order, your kit is shipped within 24 hours. In the kit you will recieve everything you need to make your impressions. To be honest – I was nervous about this part… but it was easy breezy! 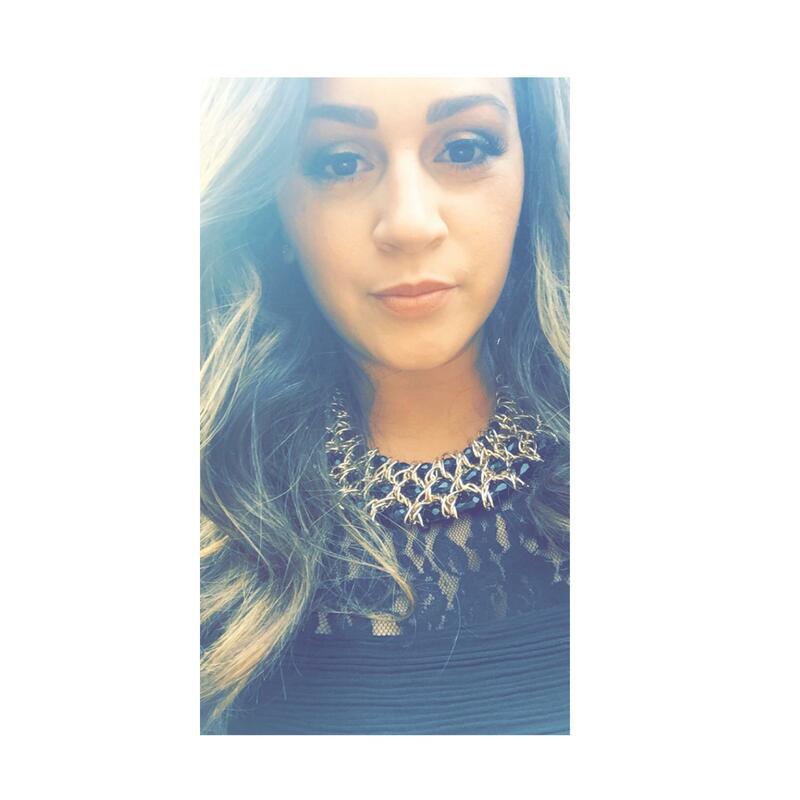 You create your dental impressions, complete a consent card and send them back to the company. 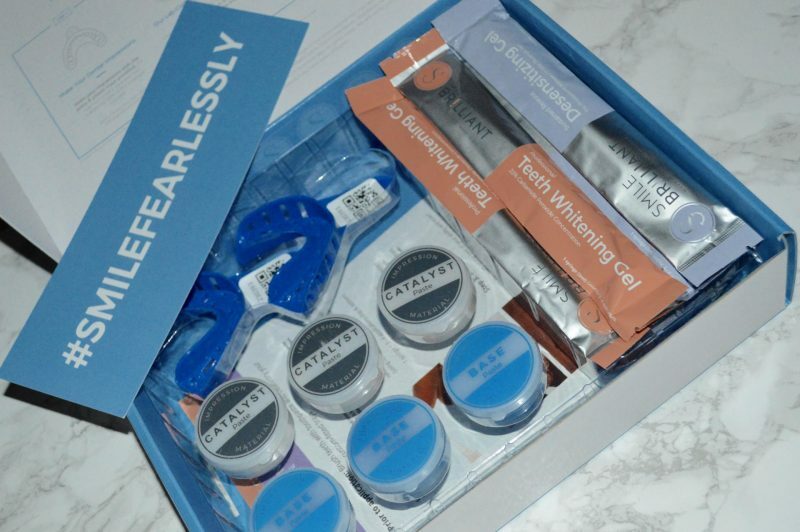 The dental lab then creates your custom-fitted whitening trays! The tray creation process ONLY takes 3-6 business days to complete and then they are mailed back to you. When my custom-fitted trays arrived I was anxious to get the whole process started. As you can see above, the kit comes with your teeth whitening gel and I also got the desensitizing gel since I have sensitive teeth. They say you can wear the trays anywhere from 45 minutes to 3 hours, it all depends on how comfortable the process is for you. I snapped a picture on Day 1 before using the trays and then again at Day 10 – just so you can see what results I experienced in less than 2 weeks of use. I used the trays every night, for 10 nights, for 1 hour each time. I felt no sensitivity to my gums what so ever which was a plus. What do you guys think?? I am so happy with the results and have continued to use the trays and am almost at the shade I would like to achieve. I have had people notice also which feels so great. 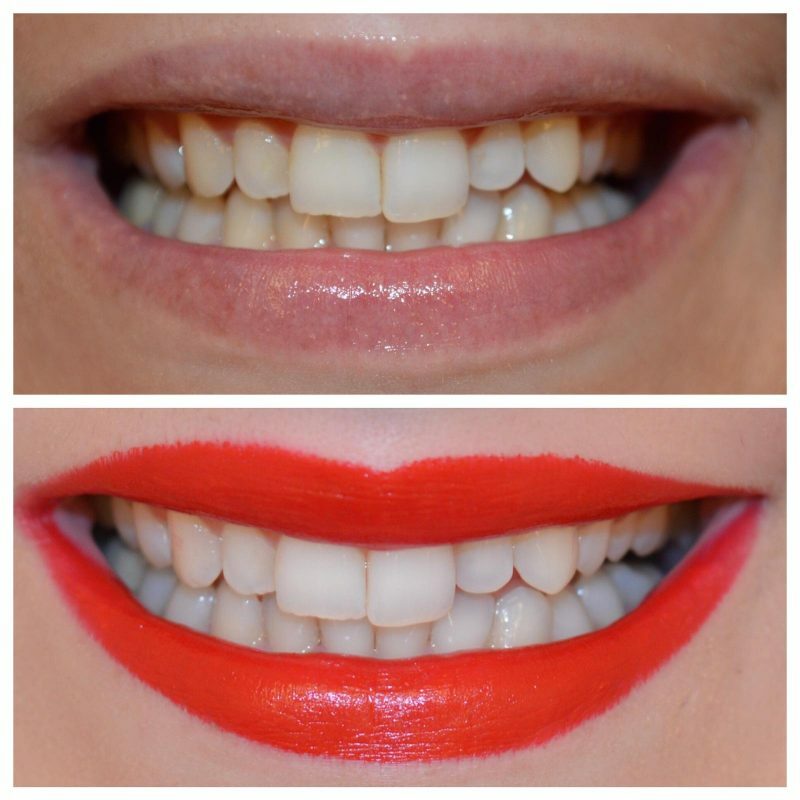 Backed by decades of research and built by hygienists & dental professionals – Smile Brilliant is definitely the way to go when it comes to at home teeth whitening! Make sure to check out their site where kits start at only $129 – you would easily spend over $600 for this treatment at the dentist. 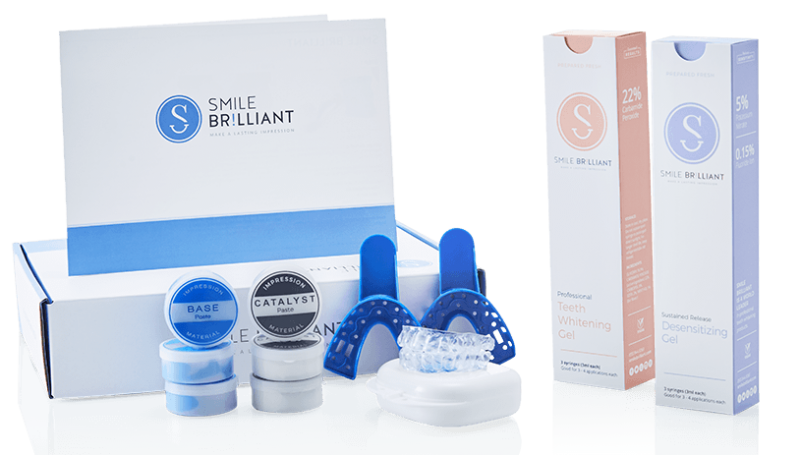 Thanks to Smile Brilliant, one of my readers will win their very own kit!!! If you’re interested in just purchasing a kit directly from their site, enter code: pearlsandparis5 at checkout for a small discount.